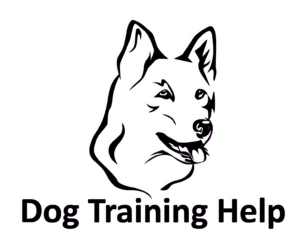 Marra Apgar is the owner, operator and head dog trainer. Her childhood fascination with animals led her to complete a degree in Biology at Murdoch University. 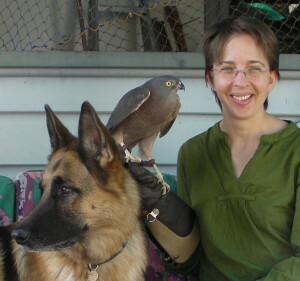 She became a volunteer wildlife rehabilitator specialising in raptors (birds of prey) and ran a conservation education business (Raptor Presentations) for 14 years. 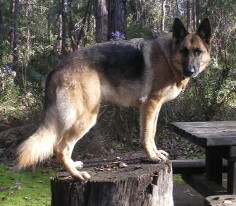 Prior to running her own dog training classes, Marra completed the instructors’ course for the German Shepherd Dog Association of WA and assisted in the running of a variety of classes alongside experienced and nationally accredited trainers. Marra is a member of professional animal training organisations including the Association of Pet Dog Trainers Australia Inc. and the International Association of Avian Trainers and Educators. She continues learning about training dogs (and other animals) through personal study and attendance at conferences and workshops. 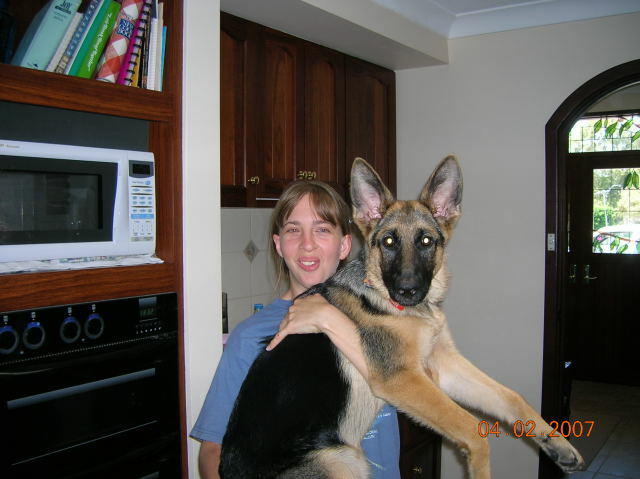 “When I got my first puppy in 2006, I thought I knew enough about training to see me through. Sadly, my pup developed a behaviour problem. 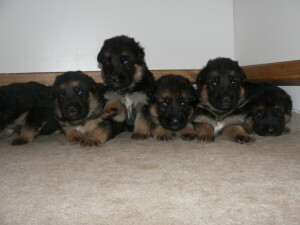 Even though I sought help from professionals, none supported me through the process needed to change my puppy’s problem. One trainer made the problem far worse. I educated myself to help my dog and me. I wish I could say it ended with the behaviour fixed. Without the training support I needed early on in her life, she didn’t get to do many things she was capable of, despite being a great dog in every other way. If you are having difficulty with your dog or pup, Marra is happy to chat to you on the phone to discuss the best options for you and your dog. Contact us, or sign up for a class.